Is your hard drive damaged or in need of a storage upgrade? Our iMac G6 hard drive upgrade/replacement service is just what you need! Our trained technicians will do everything possible to maintain the integrity of your data and either recover data if possible during a hard drive failure or merge all of your data for you onto your new upgraded hard drive. 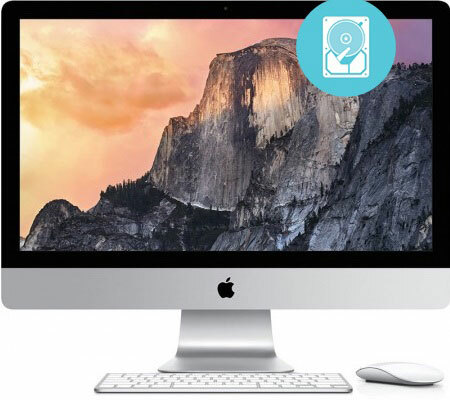 There is no complete data recovery guarantee and AppleSolution highly recommends maintaining data backups as much as possible. If you are in need of an upgrade or dealing with a damaged hard drive, let the professionals at AppleSolution take care of that need for you!